The Liberty Independent School District (LISD) is launching online registration for all students who will be enrolling at any campus. Parents/guardians may log in to the district’s online registration portal and register his/her student from any personal computer. It is required that every student attending LISD have an updated registration completed each year. Failure to complete registration may result in the student not being scheduled in classes for the upcoming school year. · Please create a Guardian Account for your online enrollment. Once an account has been created, you will be emailed your username and password to proceed to the enrollment application. · Parents of Returning Students: Please go to www.libertyisd.net click the button that says "Click Here to Register Returning Students". Please use your Skyward Family Access login and password to complete the online registration. If you can't remember your Family Access login or password, or have not received one yet, please call the campus that your student attends, or click on the forgot password link on the login page. If the email address of the parent/guardian matches the email address we have on file, a link will be sent to reset the login. If the email address does not match what we have on file, or if you are unsure if we have an email address on file, you can click Request Username/Password and a new link will be sent to you. · Complete and review all fields for accuracy as the information provided will be the student’s information on file at the school. · All forms must be completed. · Click Submit to complete the registration process for this student. · Parents/guardians shall receive an email confirmation that Liberty ISD has received the online registration form for this student. · Parents/guardians may repeat the registration process for other siblings attending district campuses. If you have any questions, please direct questions to any district/campus registrars or PEIMS Office. Online registration is based on FAMILIES, not STUDENTS. New student online enrollment is for families of students who have never had a student enrolled at LISD. Please bring the following documents, for each of your students by August 5, 2019. You can enroll all of your students at the same time. 7. If you have any records from your previous school it is helpful. If you are not a resident of the district, you MUST have a signed transfer form on file in the superintendent's office before you can attend LISD. If you have had a change of address and no longer live in the district, you will need to complete the transfer form before the first day of school. The transfer form is located at the bottom of this page. We hope that you and your student(s) have enjoyed your 2018-2019 school year. In order for your student(s) to be considered for transfer for the 2019-2020 school year, our district policy requires you to fill out and file a new transfer application per student each year. Please complete and return the attached form to your student’s school by April 19, 2019. 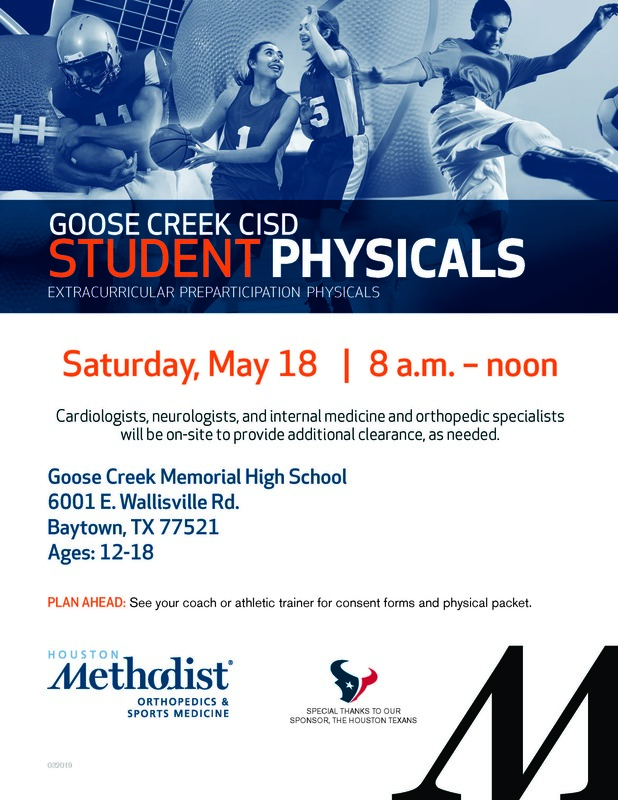 PHYSICALS ARE REQUIRED BY STATE LAW FOR EVERY ATHLETE ENTERING GRADES 7TH-12TH GRADE (2019-2020 SCHOOL YEAR). Click here for the 2019-2020 Physical Evaluation form. We hope that you and your student(s) have enjoyed your 2018-2019 school year. In order for your student(s) to be considered for transfer for the 2019-2020 school year, our district policy requires you to fill out and file a new transfer application per student each year. Please complete and return the application under Student Enrollment to your student’s school by April 19, 2019. All transfer requests are reviewed on an individual basis each year and are not automatically renewed. Failure to sign and return the transfer application by the designated due date may result in your student being unable to enroll at Liberty ISD. Click here for a copy of the 2019-2020 transfer application. Skyward Family Access is now available for most cell phones. This will allow you to connect more conveniently to your child's vital information such as attendance, grades, and food service records, without the need to enter a URL and login/password each time. After downloading/installing the free Skyward Mobile app, the next step is to look up Liberty ISD by GPS location, zip code, or district name. Once found, simply click the appropriate district and enter your Skyward login and password information. The connection information is then stored on your mobile device so you are automatically connected and your account is authenticated each time you click on the Skyward Mobile Access icon. A Skyward Family Access account is first required to access the system, which you may request by visiting a school campus. Once you have your Family Access login and password, you will be able to access your child's records through Skyward Mobile Access. You now have the option to receive district messages on your cell phone by simply “opting in” via Skyward Family Access. Of course, you may be charged messaging rates according to your plan from your phone service provider when you receive a text message. We hope you will take advantage of this service to better keep our parents and guardians informed.